I have been watching or the release of the The Duchess High-Low Skirt ever since I found out Jessica from Do It Better Yourself Club was designing it. 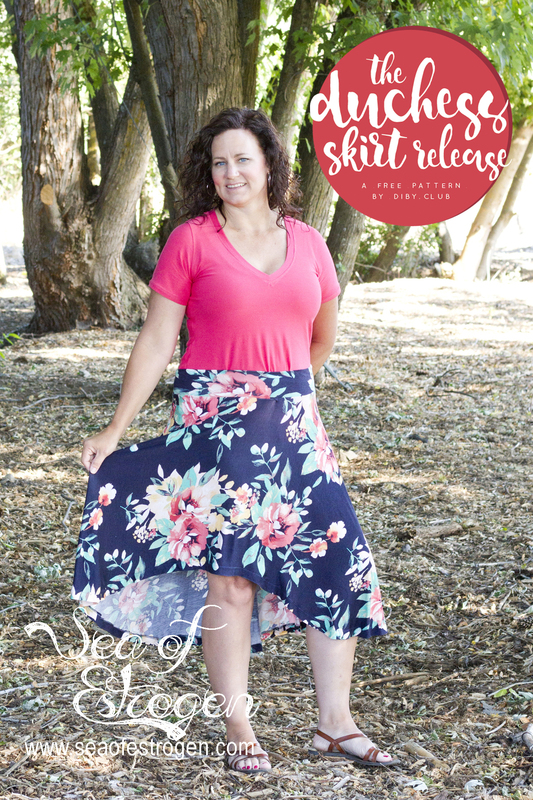 I normally do not wear skirts, rather I am more of a jeans & t-shirt kind of person, but I was really intrigued by the sneak peeks Jessica was sharing in the Facebook Group. The Duchess released on July 25, and I am super excited to be included in the release Blog Tour. The best feature of The Duchess – it’s FREE! 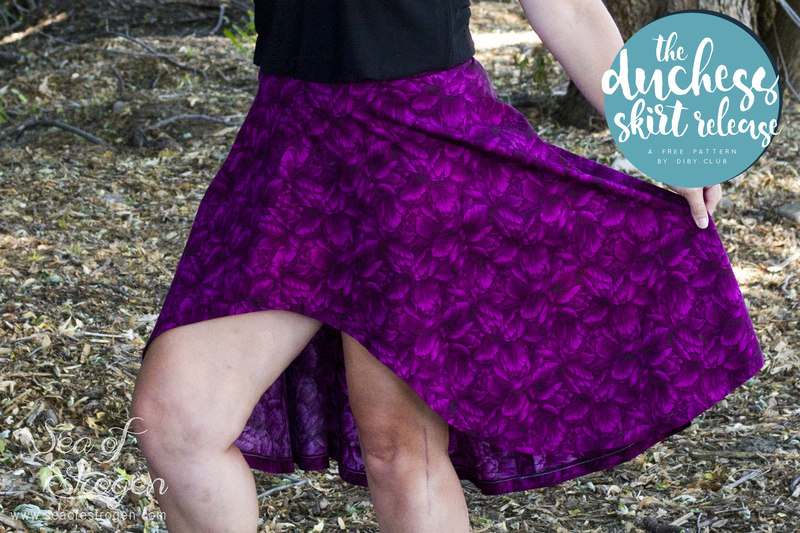 The Duchess High-Low Women’s Skirt pattern is perfect for any seamstress! It is made for versatility, simplicity, practicality, and ease. 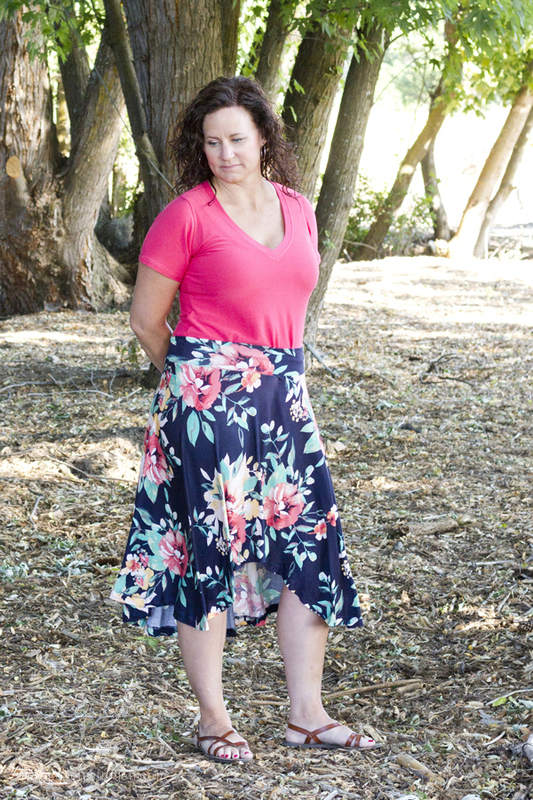 The Duchess includes both misses and plus sized pattern pieces, and is incredibly comfortable! Options include either maxi or midi length hemlines with either conservative or dramatic rise options. Even better? The Duchess is suitable for both knit and woven fabrics making it perfect for using up an existing fabric stash! Included in The Duchess pattern are the complete printable instruction packet, misses and plus sized pattern files, and three different PDF file formats (US Letter, A4, and Ao). It also includes three different waistband options: woven, regular knit, and yoga knit. To see a large sample of The Duchess and many of it’s available options, check out Jessica’s Duchess Release Blog Post, and be sure to check out the amazing participants in the blog tour! Another fun post to check out is this awesome video of Jessica celebrating The Duchess Release. 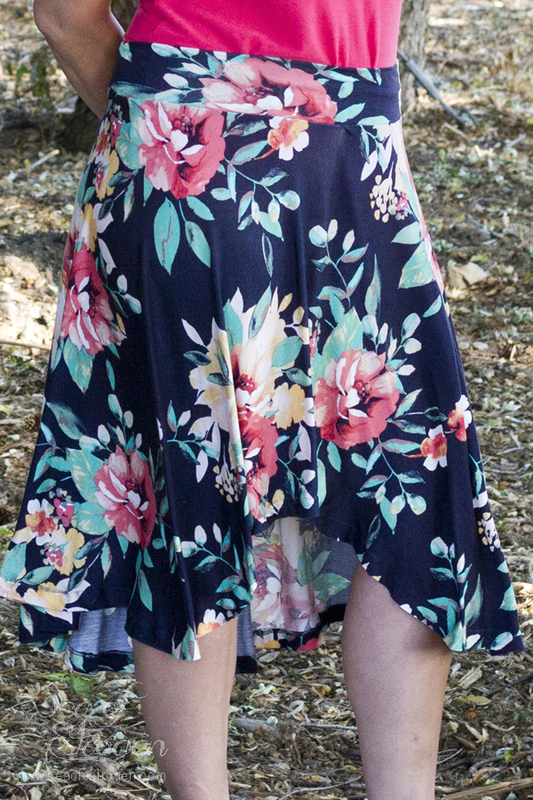 I can count on one hand the number of times I’ve worn a dress or skirt in the past two years. They just haven’t been my “thing”. In addition, I work in the office of a manufacturing plant, and while the office is nice, my job (graphic art, advertising, and photography) isn’t really conducive to wearing skirts. Jessica and The Duchess have changed my tune! I will admit I prefer the knit version over the woven, but they are both very comfortable and easy to wear! 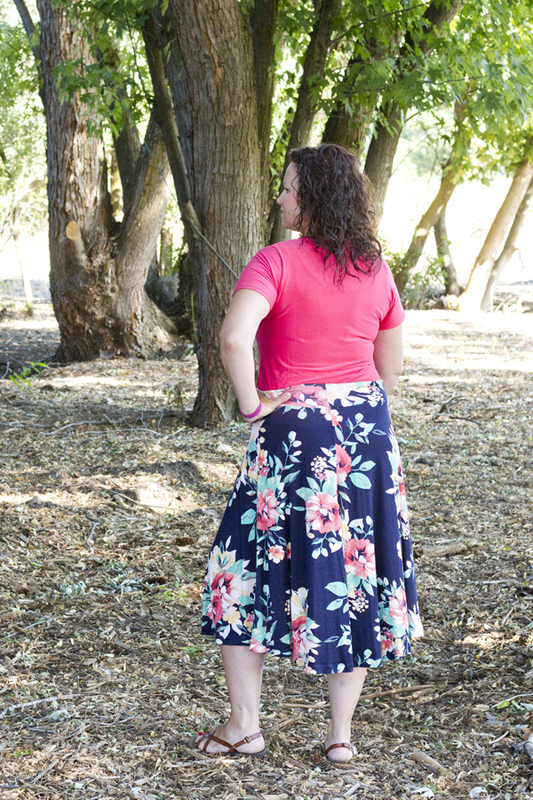 I received both of the fabrics shown here in a bundle from So Sew English Fabrics, and they are both rayon spandex. I have been holding off using the floral, saving it for just the right pattern. The Duchess wins! 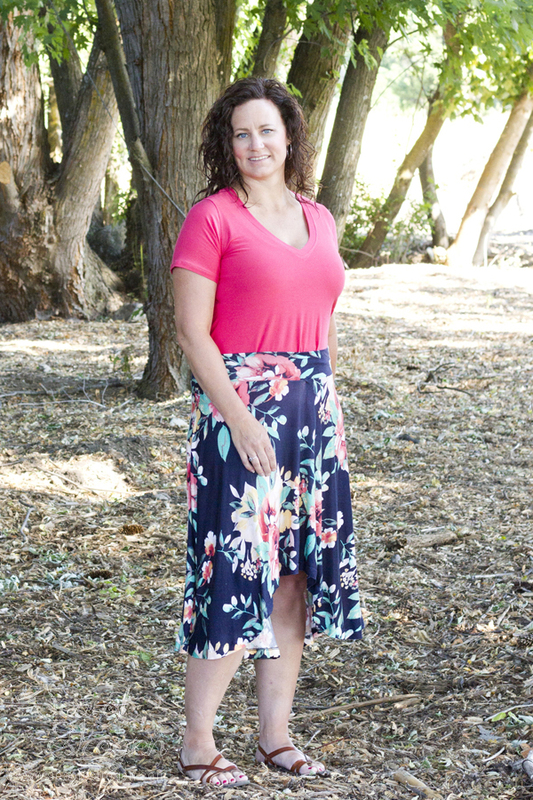 I decided I wanted to use as much of the fabric as I possibly could, so I chose the midi length with the conservative rise, and I added the standard knit waistband. 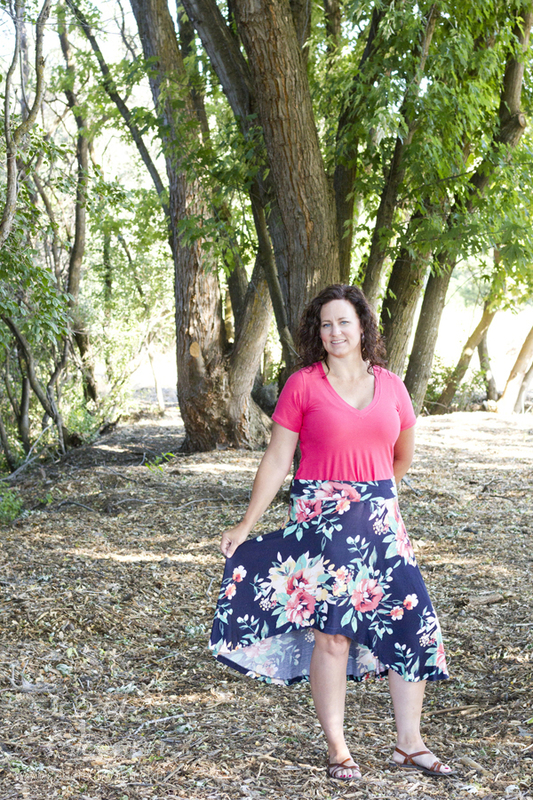 I love how soft and flowy this skirt is, and it is genuinely easy to wear! 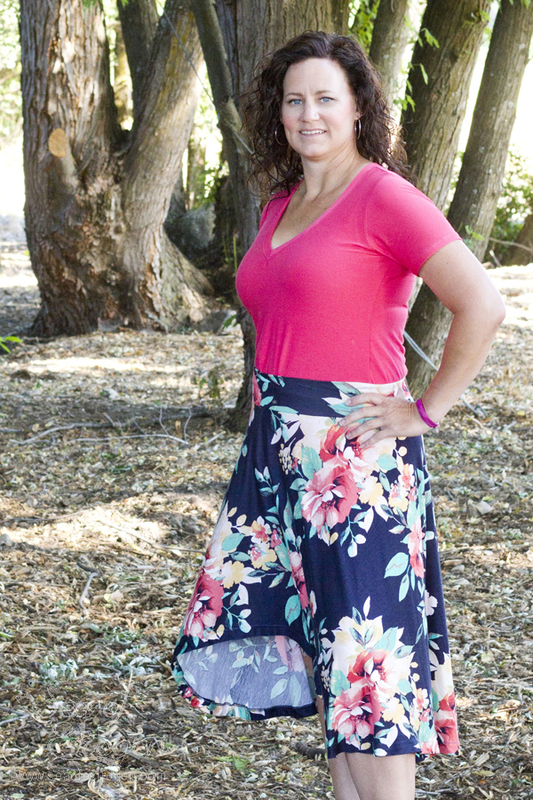 In addition to the skirt fabric, I used the solid fabric from the bundle to make a Favorite Tee from Patterns for Pirates. It pairs perfectly, and truly is my favorite tee to wear. For the Blog Tour, I wanted to make two versions of The Duchess. I made this version with quilting cotton, and chose the dramatic rise. 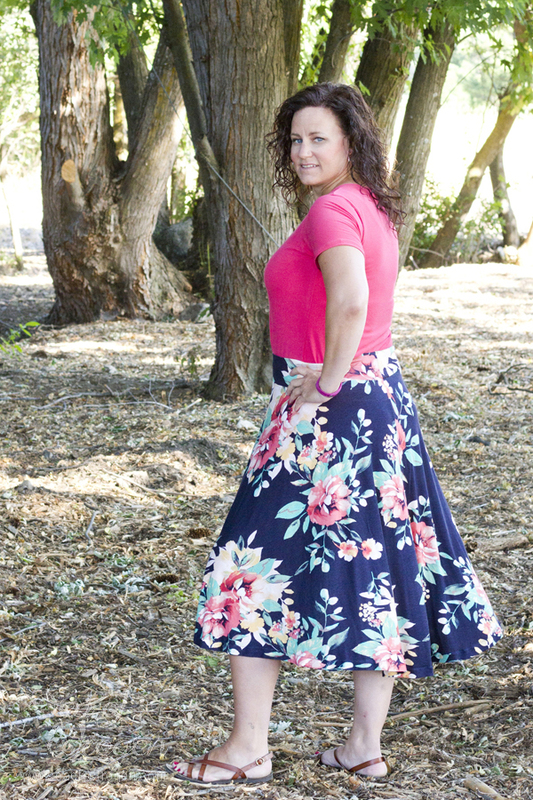 I paired the skirt with a black Favorite Tee from Patterns for Pirates (and promptly forgot my dressy shoes for the photshoot). Jessica’s instructions for adding the invisible zipper are perfect, and I didn’t experience any issues with it! That’s a win in my book! Thank you for reading, and, as usual, if you have any questions, feel free to ask in the comments, and I will try to answer them. Love them both! Incredibly pretty! Thank you for sharing!